Boris Nikolaevich Delaunay or Delone (Russian: Бори́с Никола́евич Делоне́; March 15, 1890 – July 17, 1980) was one of the first Russian mountain climbers and a Soviet/Russian mathematician, and the father of physicist Nikolai Borisovich Delone. The spelling Delone is a straightforward transliteration from Cyrillic he often used in later publications, while Delaunay is the French version he used in the early French and German publications. Boris Delone got his surname from his ancestor French Army officer De Launay, who was captured in Russia during Napoleon's invasion of 1812. De Launay was a nephew of the Bastille governor marquis de Launay. He married a woman from the Tukhachevsky noble family and stayed in Russia. When Boris was a young boy his family spent summers in the Alps where he learned mountain climbing. By 1913, he became one of the top three Russian mountain climbers. After the Russian revolution, he climbed mountains in the Caucasus and Altai. One of the mountains (4300 m) near Belukha is named after him. In the 1930s, he was among the first to receive a qualification of Master of mountain climbing of the USSR. Future Nobel laureate in physics Igor Tamm was his associate in setting tourist camps in the mountains. Boris Delaunay worked in the fields of modern algebra, the geometry of numbers. He used the results of Evgraf Fedorov, Hermann Minkowski, Georgy Voronoy, and others in his development of modern mathematical crystallography and general mathematical model of crystals. He invented what is now called Delaunay triangulation in 1934; Delone sets are also named after him. Among his best students are the mathematicians Aleksandr Aleksandrov and Igor Shafarevich. Delaunay was elected the corresponding member of the USSR Academy of Sciences in 1929. 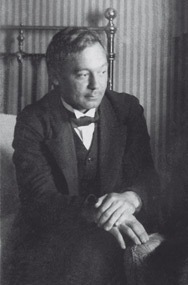 Delaunay is credited as being an organizer, in Leningrad in 1934, of the first mathematical olympiad for high school students in the Soviet Union. ^ Memoirs by Boris Rozenfeld, p. 61 (in Russian). ^ a b Boris Nikolaevich Deaunay (in Russian), Division of Higher Geometry and Topology, Mathematics and Mechanics Department, Moscow State University. O'Connor, John J.; Robertson, Edmund F., "Boris Delaunay", MacTutor History of Mathematics archive, University of St Andrews . 80th Birthday - Reproduction of an article in Russian Mathematical Surveys 26 (1971) 199-203, with the kind permission of the London Mathematical Society Pages 199, 200, 201, 202, 203; Also in PDF format. This page was last edited on 16 November 2018, at 20:43 (UTC).